We’ve come to hear the names Dalton and Katie Prager a lot in the last few weeks but not for reasons we’d prefer. Synonymous for being the “IRL The Fault in our Stars couple,” based on the book by John Green, Dalton and Katie had a turbulent time in their young marriage as both continued to fight their battles with cystic fibrosis, along with the addition of infections, pneumonia, and in Dalton’s case, leukemia. 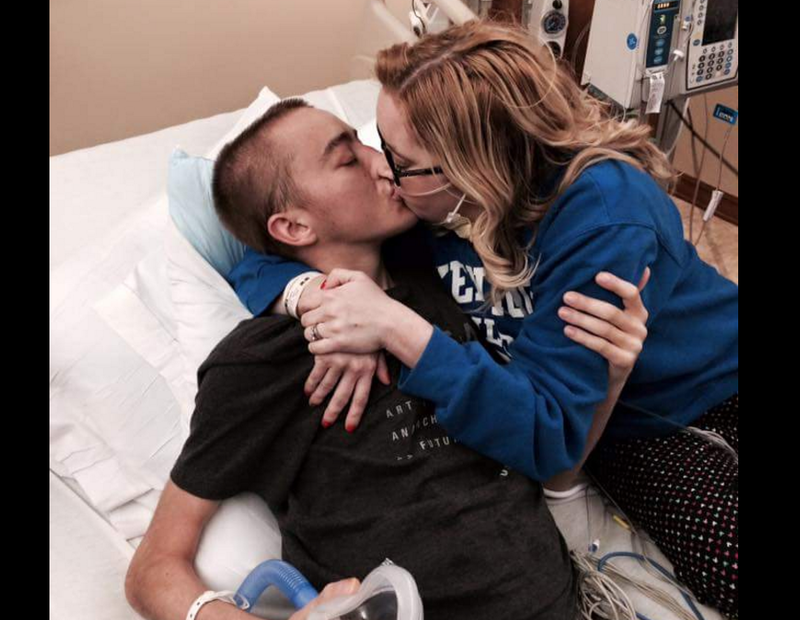 Dalton passed away just last week from complications of the disease while his wife, Katie, held on just a few days. Sadly, she passed away yesterday morning after a long, courageous battle. The two young love birds met and fell head over heels via social media, prompting Katie to reach out in an attempt to offer friendship. They were told, because of Dalton’s infectious disease, Burkholderia cepacia, they couldn’t meet in person (it’s highly contagious), but that wasn’t enough to keep them a part, traveling six hours to see one another. Soon, they married and while they hoped for the best, it wouldn’t be long before the complications of their terminal diseases would catch up. After each underwent lung transplants, neither fully recovered from the onset of infections thereafter. Last the two looked into each other’s eyes in person was back in July, on their 5th wedding anniversary. Since then, they’d been separated by many states with Katie in Kentucky and Dalton in Missouri, where each of their families could look after and care for them. And while a reunion never happened, thanks to FaceTime, they could connect by way of virtual reality as Dalton took his last breath. "She told him that she loved him," Katie's mother, Debra Donovan, said. "We don't know if he heard her." The couple had said previously they’d rather take the risk of being happy together a short time than to live mediocre lives a long time. Donovan took to Facebook to give her thoughts on this beautiful love story. “One important thing I have taken away from this is to live, just live, if there is something you want to do, don't wait. Life is short. Love as hard as you can." Thank you for sharing your lives, and love, with us, Katie and Dalton. We will never forget you.